Gift catalogs may be just the solution you're looking for when shopping for that hard to buy person. These free gift catalogs will give you a ton of ideas and most of them offer great discounts on gifts for everyone in your family. Request one or all of the gift catalogs below so you'll have plenty of gift ideas for that next occasion. 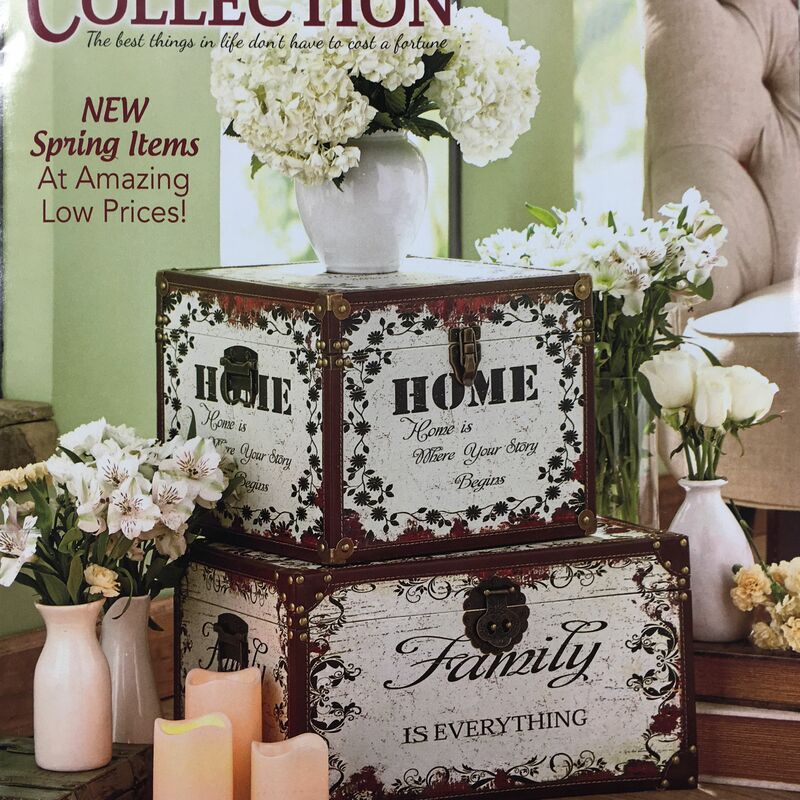 If you're looking for more free catalogs, you'll find hundreds of free catalogs for your home, garden, and life that you can receive in the mail. The Lakeside Collection gift catalog has gifts for your friends and everyone in your family at great prices. Inside the Lakeside Collection gift catalog you'll find books, DVDs, electronics, fashion accessories, home decor, collectibles, purses, and toys. You'll love the prices of the gifts inside the Collections Etc. gift catalog just as much as you like the actual gifts! The Collections Etc. gift catalog sells gifts such as figurines, books, collectibles, fragrance, and food as well as novelty, religious, and inspirational gifts. The Miles Kimball gift catalog is full of unique and hard to find gifts at deeply discounted prices. If you're looking to buy a gift for the gardener, hobbyist, gadget guru, or cook in your family, you'll find just what you're looking for in the Miles Kimball gift catalog. The LTD Commodities gift catalog (previously the ABC gift catalog) sells unique gifts at low prices that will help you get that perfect gift well within your budget. Open up the LTD Commodities gift catalog to find gifts such as electronics, home decor, furniture, housewares, toys, and stationary. The pages of the What on Earth gift catalog is filled with unique gifts that will delight everyone on your list. Inside the What on Earth gift catalog you'll find gifts to wear, collect, decorate, entertain, play, and give. Inside the Current gift catalog you'll find a huge selection of gifts as well as gift wrap, greeting cards, and personal checks. You'll love all the personalized gifts inside the Current gift catalog for men, women, kids, and even pets. The Orvis gift catalog is packed full of quality gifts for everyone you know. You'll find gifts for men, women, pets, and children all inside the Orvis gift catalog. The Personal Creations gift catalog has a huge selection of gifts that can all be personalized. You can use the Personal Creations gift catalog to shop by occasion or recipient. They have personalized gifts for her, him, and the kids. The Uncommon Goods gift catalog is filled with unique gifts for your home, women, men, and kids. These are truly items you didn't know existed, all with a cool twist that makes them great gifts for almost anyone you know. Open up the Carol Wright Gifts catalog and you'll see a wide selection of gift items, As Seen on TV products, personal care items, and apparel. The Carol Wright Gifts catalog has been around since 1972 and is still going strong. The Harriet Carter gift catalog has been selling distinctive gifts from 1958 and they've got the selection to prove it. Inside the Harriet Carter gift catalog you'll find home decor, kitchen items, apparel, household helpers, organizers, and much more. The Lighter Side gift catalog features gifts that will amaze, delight, and get quite the chuckle from the person receiving them. You'll find apparel, accessories, books, music, DVDs, collectibles, decor, games, toys, housewares, novelties, and personalized gifts inside The Lighter Side gift catalog. The Potpourri gift catalog has gifts for the home and garden as well as a large selection of personalized gifts. You'll find clothing, jewelry, fashion accessories, collectibles, and more inside the Potpourri gift catalog. How Do You Make New Crayons Out of Old Crayons?